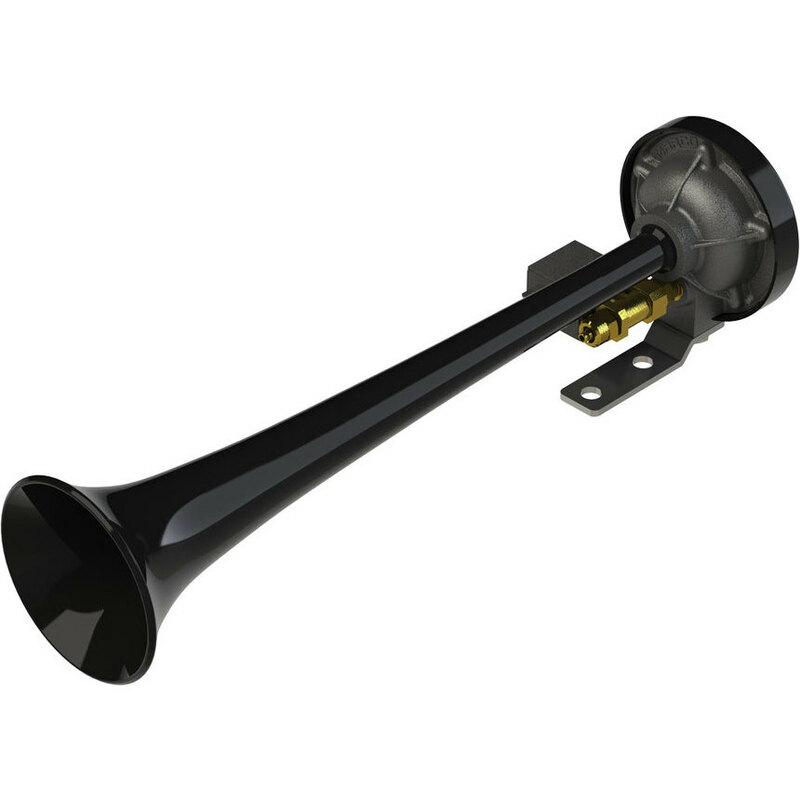 Compressed air horn with metal painted trumpet. Installation in engine compartment. Complete with fixing hardware and electric valve.